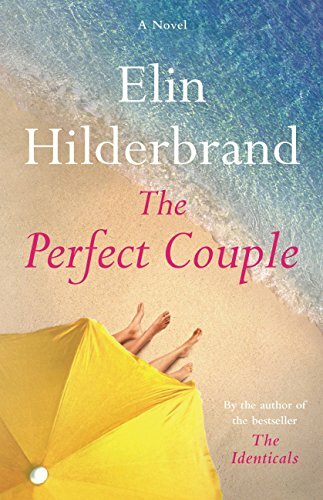 Now in PB-The Perfect Couple – Joyce's mystery and fiction book reviews with some non-fiction too! Elin Hilderbrand has written many novels that take place on Nantucket. This is her first murder mystery and the first book that I have read by the author. The setting is beautiful and full of details of how the well-to-do spend their summers on the island. A wedding is scheduled to take place. The groom, Benji is the scion of a wealthy family while his bride to be, Celeste, comes from a loving, middle-class background. Celeste and Benji’s parents come to life in portrait-like depictions. Benji’s mother is a society woman who writes mystery novels and always hosts in the most proper ways. Her husband, Tag, is a man who has had many affairs. They live a life of luxury but do not have a happy marriage. In contrast, Celeste’s parents are “salt of the earth” types who have a loving relationship. Karen, who has breast cancer, is portrayed in a wonderfully empathetic fashion. Kudos to the author for sympathetically but not maudlin-ly describing Karen. Bruce, Celeste’s dad, clearly adores both his wife and child. They want only for Celeste to be happy and secure. Celeste’s maid of honor is the murder victim. For fear of spoilers, I won’t say more about what happened or the solution of the mystery. There are numerous suspects and many relationships come into play. This is what I would describe as a good summer read. It is a long (over 400 pages) novel in which the reader becomes immersed. If you want a light summer escape, this one is worth trying.